Today’s guest post is written by John Wilhite, a specialist in working with gifts of real estate, land and personal property. This is the first of a short series over the coming months. I can barely handle the simple process of refinancing my home, so if you have any specific questions about this topic I recommend contacting John directly at wilhite_j@sbcglobal.net – he’d be happy to reply. There remains significant potential for real estate & land gifts in the United States today. American home ownership represents value in excess of $21 trillion, with nearly $10 trillion in equity for homeowners. US individual tax returns for 2007 (the most recent year available) show charitable contributions of real estate & land of almost $6.0 billion. Yes, real estate values have gone down, but not to zero. If your organization isn’t talking to donors about gifts of real estate & land you are missing a valuable opportunity on many levels. 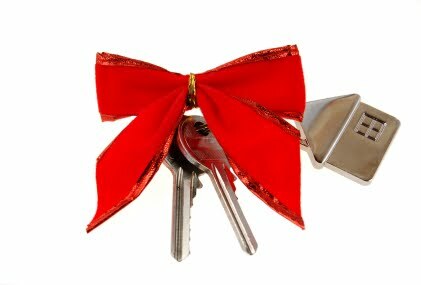 Real estate & land can add an additional vehicle for a donor to make a gift. Many fundraisers only discuss gifts of cash & stocks. Speaking with a donor about this topic shows the donor your organization’s willingness to find ways to receive non-typical gifts. Potential donors may learn of many additional ways to support an important organization with a gift larger than they might think possible. Everyone wins in that situation. Discussions between the fundraiser and the donor often lead to information regarding the donor’s other assets. This helps the organization understand what the donor is trying to accomplish with the gift and may lead to future sizable contributions. Gifts of real estate are more complicated than many other transactions, so check with the person in your organization who handles these gifts and learn more about how you can enable your donors and prospects to make a difference with a gift they may not have considered in the past. You might be surprised by how many options there are! Is it just me, or does the new Apple MacBook Air commercial remind you of the original Girl Effect music of 2008? I know there are only so many generic piano background music options, but every time I see the commercial I can’t help but think somebody in an ad agency had TGE music in their head during the creative process. Visually, they have nothing in common. But listen to both and tell me they aren’t cut from the same cloth! No complaints here, just pointing out something that has been bugging me for a few weeks! Just some food for thought. . .